Whether you are unhappy with the benefit you receive from your current hearing aids or just think you need some adjustment we would be pleased to help you. Today hearing aids are often fit or dispensed without taking the proper steps to ensure an optimal fitting. 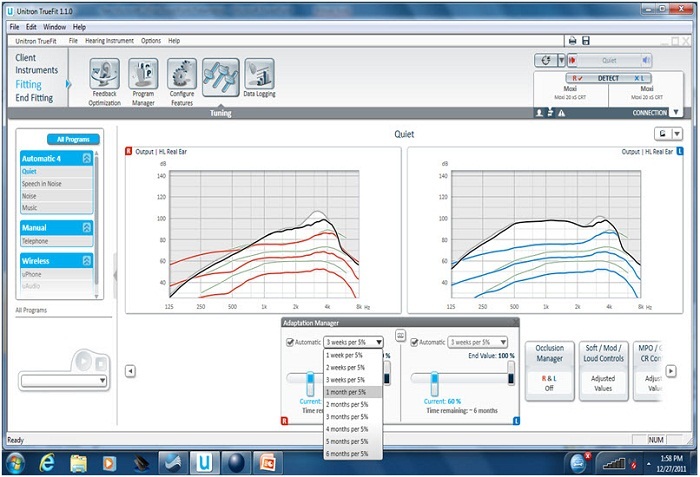 At Turner Audiology we employ the use of Real Ear Measurement to ensure the accuracy of every hearing aid fitting we do. As a general recommendation everyone wearing hearing aids should be seen for review of their hearing and the performance of the hearing aid once every two years. Services may be covered by your employee health benefits. We have direct billing to Blue Cross.